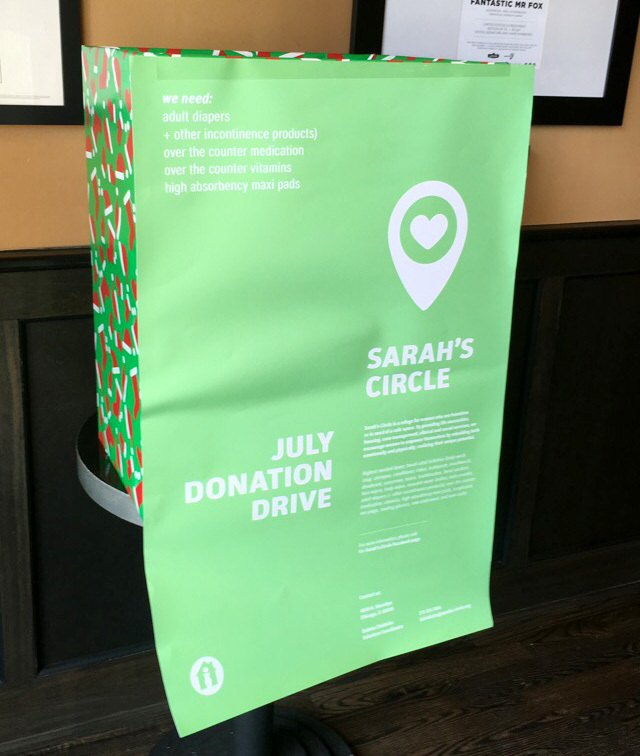 This July, The Logan Theatre becomes a donation drive drop-off location for Sarah's Circle, a support service for homeless and at-risk women. If you are able, please consider bringing donations. We will be accepting travel-sized toiletries, incontinence products, sunscreen, deodorant, new socks and underwear, feminine hygiene products and new or like-new waterbottles. Look for the green box in our lobby on your way into your movie or event!